What better way to jump into the holidays than to enjoy breakfast with the big man himself? Gather up the family and head to The Grange on Saturday, Dec 15 for Pancakes with Santa. 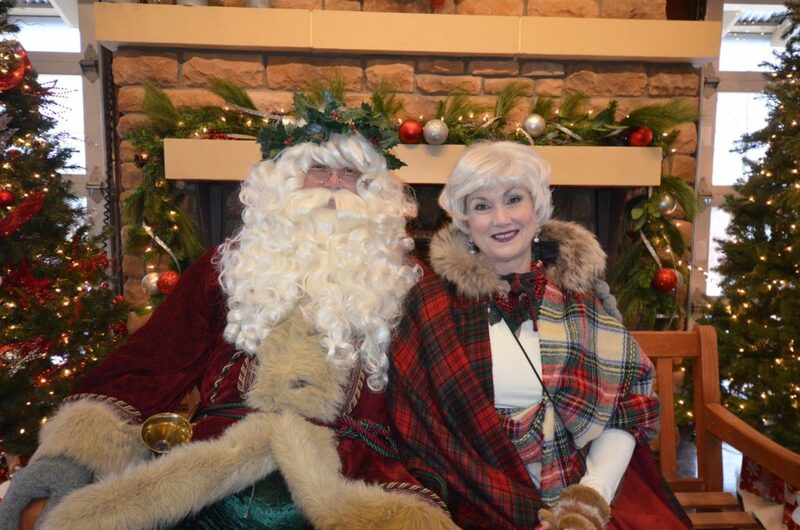 It’s your child’s chance to meet Santa and Mrs. Claus while enjoying breakfast with your friends and neighbors. This event is truly a magical experience for the whole family. Watch your child in wonderment as they get to see Santa and tell him a few items on their list. Make sure that you bring your camera to capture the wonderful moment. Breakfast will be some of Santa’s and your kid’s favorites. Enjoy pancakes, eggs, sausage, juice, and coffee. In order for everyone to get a special moment with Santa, The Meadows has arranged different timeslots for you to enjoy. Registration for Pancakes with Santa is $7 for children ages two and older. This is one of the most popular events of the season so make sure to get your spot by December 8. I’ve talked in previous weeks about how special the holidays are in the neighborhood and Castle Rock. However, this event puts the icing on the season. Have your child fine tune their list and check twice and register to have some pancakes with Santa today. Don’t miss this special event. Learn more and register.